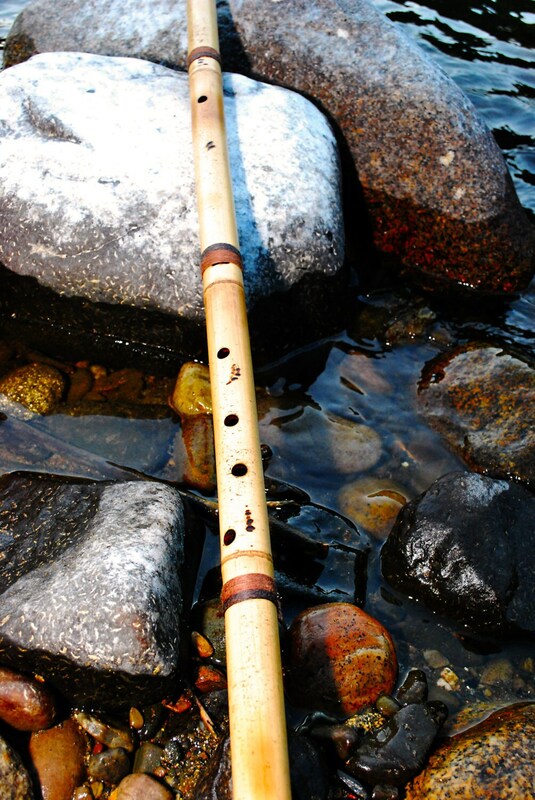 A custom bamboo flute design by Thomas Richardson Music, inspired by the bamboo flute that David Carradine built and plays in scenes from Kill Bill. 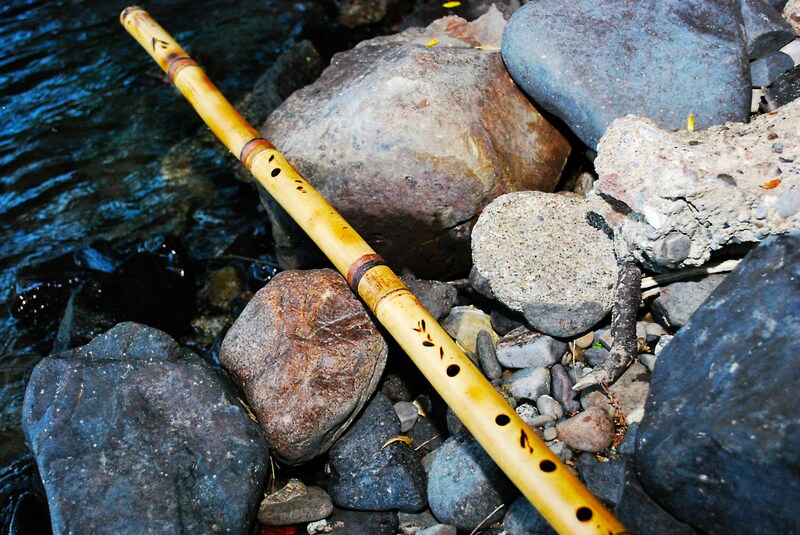 The flute featured in the Kill Bill films is a David Carradine bamboo flute design. David was a unique flute builder, grew his own bamboo, harvested it, and designed amazing and unique exotic bamboo flutes for himself. He tended to set the breath hole a couple or a few cells down the bamboo near the center depending on what length of bamboo he was making his flute out of. The flute he designed for the film, the Silent Flute is an example of his creative flute building genius. The flutes I am listing on Etsy are very similar lengths and look like the flutes Carradine made for Kill Bil. My Shaolin flutes are built from cured Chinese bamboo at around 1 1/4 inch in diameter and each piece varies a bit, no two bamboo poles are exactly the same ... each flute is unique and one of a kind. 57 inches in length which is longer than others selling KBFs on Etsy with a double or triple cell chamber of bamboo pole length above the breath hole and built in the David Carradine Kill Bill flute style. The flute can be rested on the left shoulder like a violin when playing . Plays the Major Pentatonic and the Minor Pentatonic scale 4 holes on top with a thumb hole on the back like a Shakuhachi flute. 2 + octave range. A440 tuning. Natural in look there are no carvings or artwork on this flute. Can be used as a walking stick flute like the Shaolin monks. All holes are burnt via burning rods. The bore is created via burning and then colored in cherry red. Fire and water are used exclusively within my flute building process. Brown hemp bindings are added. 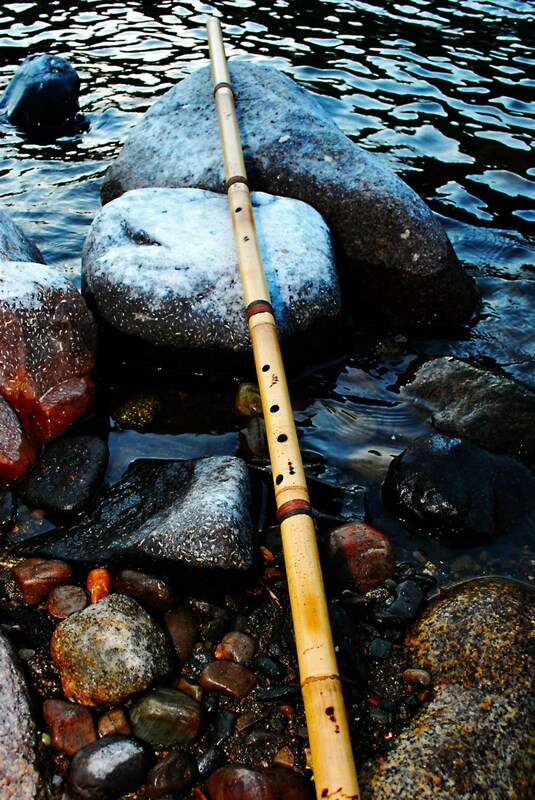 The length and feel of this flute is inspired by the flutes of the ancient Shaolin Kung Fu masters who used their flutes as instruments and also as protective weapons. 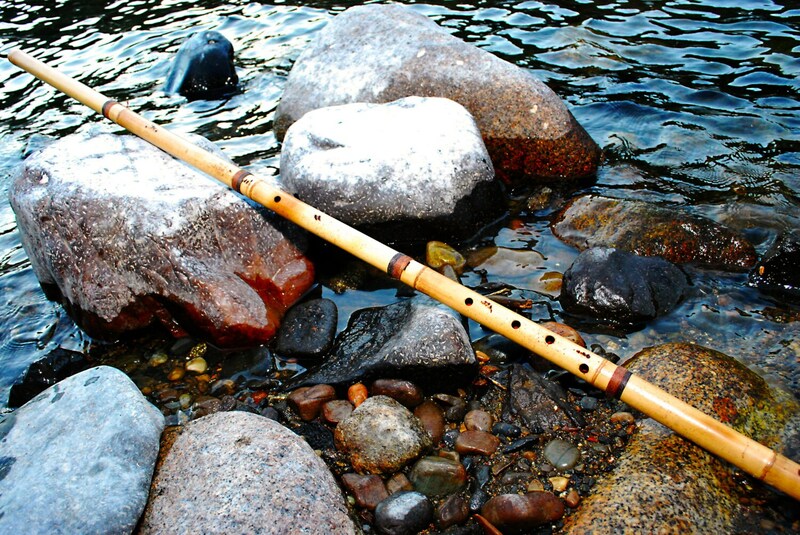 This is an amazing and well crafted flute!